Look jaw dropping gorgeous by completing your party look with these marble earrings. 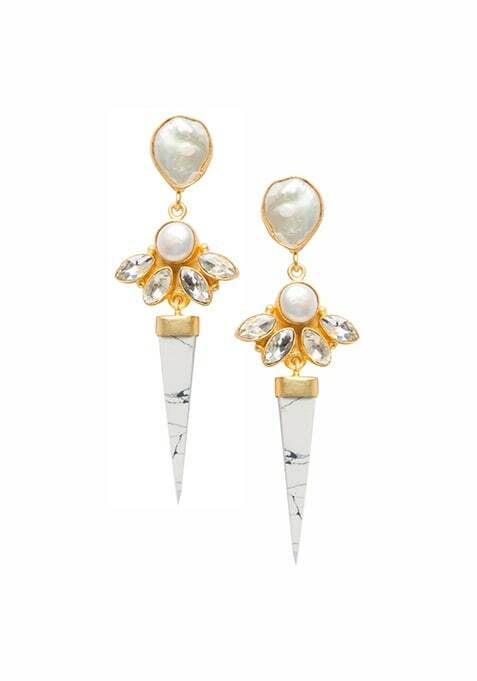 These feature pointy marble stone, faux pearl and kundan embellishments. Work It: Style these with an Indo-western tunic to look fab.